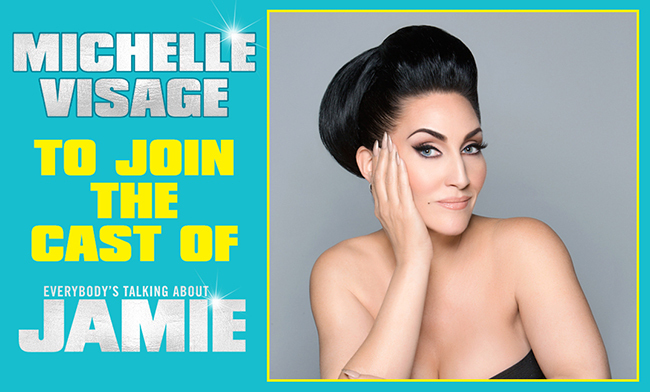 Internationally renowned personality, Michelle Visage, will be making her West End musical debut playing the role of Miss Hedge from Thursday 18 October 2018 to Saturday 26 January 2019. Michelle is an internationally renowned, platinum-selling recording artist, actress, author, television personality, podcast co-host, radio show host, who has made a name for herself in the entertainment industry, across multiple mediums for the past three decades. She is best known in the UK for being a judge on Ireland’s Got Talent and America’s hit TV show RuPaul’s Drag Race, which recently won Outstanding Reality-Competition Program at the 2018 Primetime Emmy Awards. Michelle was a finalist on Celebrity Big Brother in 2015. Please note: Due to Michelle Visage’s filming commitments as a judge on Ireland’s Got Talent 2018, she will not be performing between Tuesday 20 – Thursday 29 November 2018.